In the merely dystopian United States, ravaged by poverty and the spreading of the underclass, Cassius Green gets a job in telemarketing. He follows the advice of his office neighbor and contacts his customers using a disguise "white voice". From then on, the strategy proves success, the social elevator in action, and he develops privileged contacts with a degenerate clone of Jeff Bezos. 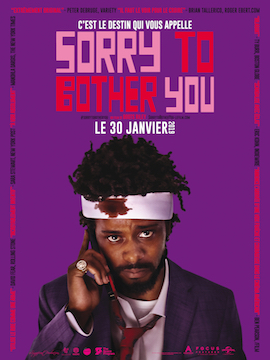 For his first feature film, Boots Riley, frontman of the band The Coup (check out the excellent soundtrack), makes his way somewhere between Idiocracy and Spike Lee. 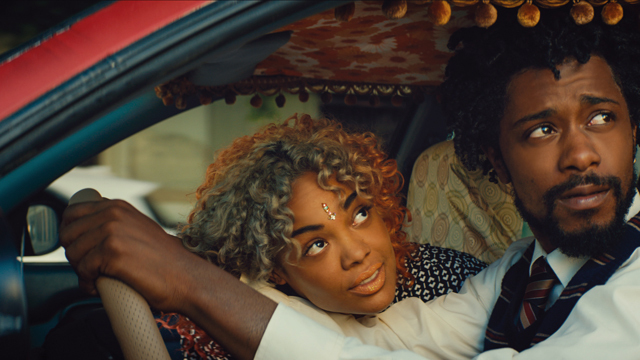 Committed to gritty caricature, Sorry To Bother You manages ultra-militant social discourse without being boring and an easy-going pop treatment, the film presents itself like a fun pamphlet, as cool as it is angry.